In celebration of #ThrowBackThursday #TBT and to conclude #MayBay, take a stroll down memory lane and re-watch The Bay’s popular summer specials Far from The Bay and Darkside of The Bay! Today, Thursday, May 29th, both episodes will air in their entirety with no commercial interruptions. SOAP BOX WITH LILLY AND MARTHA – with Mary Beth Evans and Michael Bruno! SOAP BOX is a show designed BY women, FOR women, and ABOUT women. Hosts Lilly Melgar and Martha Madison have portrayed dynamic women on Daytime TV and will be on their “SOAP BOX” every Thursday at 2pm with guests, topics, and opinions. Today's interview is with Mary Beth Evans and Michael Bruno! 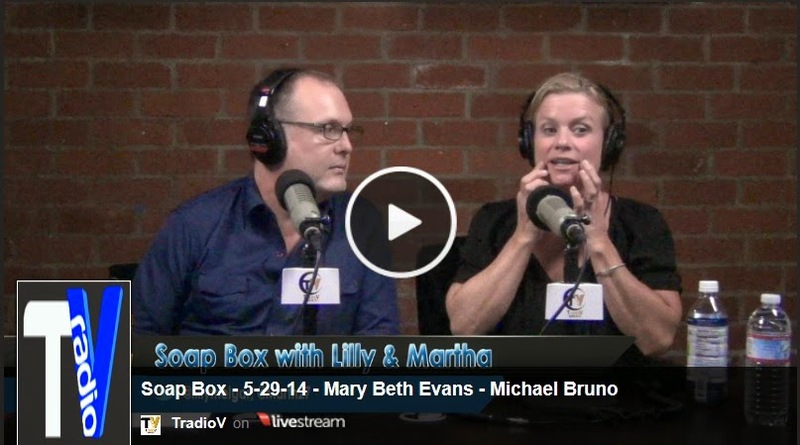 View SOAP BOX WITH LILLY AND MARTHA with MARY BETH EVANS and MICHAEL BRUNO HERE. Read the entire TV SOURCE MAGAZINE recap HERE. Wow. I do not want to spoil anything, but this episode of The Bay is definitely the most shocking so far. 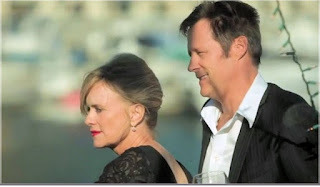 Chapter 12 Part 4 features Days of our Lives actors Mary Beth Evans, Matthew Ashford, Jade Harlow, and Martha Madison. Read the entire DIVA OF DAYS OF OUR LIVES article HERE. As millions of viewers tune in online to catch up on the hit soap opera The Bay, freshman Emmie Romanovich will be preparing to film its latest drama-filled episode. As the spotlight shines brightly upon her and her star-studded cast mates, The Bay never fails to keep audience members on their toes and begging for more. 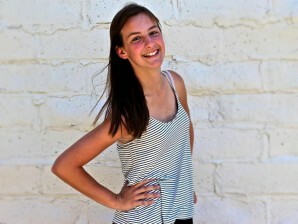 Read the entire CALABASAS COURIER ONLINE article HERE. #MayBay comes to a thrilling conclusion when passion ignites and secrets beg to be revealed! Crash the party when Chapter 12 Part 4 of the Emmy-nominated The Bay premieres today, Thursday, May 22nd! CBS SOAPS IN DEPTH: Chapter 12 Of THE BAY Concludes! The citizens of THE BAY will face a series of emotional and physical cliffhangers when the final installment of Chapter 12 is revealed today on www.thebaytheseries.com. For starters, the secret long held by Sara Garrett (Mary Beth Evans, Kayla, DAYS OF OUR LIVES) will finally be revealed! #MayBay wouldn’t be complete without a good party! The Bay City residents head over to Jack’s yacht for a campaign fundraiser. Everyone is dressed to the nines but, of course, some of those pretty dresses and suits are hiding ugly secrets. #MayBay continues with its most glamorous episode yet! 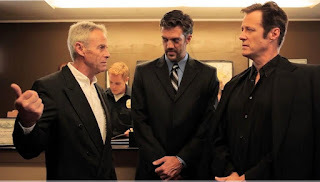 Chapter 12 Part 3 of the Emmy-nominated The Bay premieres today, Thursday, May 15th. Bay City’s elite get all dolled up for the social event of the year and this exclusive gathering is destined to make waves. Chapter 12 Part 2 of The Bay serves up more of the delicious scandal its fans love! The residents of Bay City are swimming in murky waters and some may be about to drown. Will anyone be able to keep his or her head above water? #MayBay continues with Chapter 12 Part 2 of the Emmy-nominated The Bay premiering today, Thursday, May 8th! Catch the debuts of daytime vets Judi Evans as the troubled Katherine Blackwell, Patrika Darbo as the spunky tavern owner Mickey, and Sean Kanan as sly Press Secretary Kenneth Allen. Motion picture actor Bill Cobbs (Night at the Museum, Oz The Great And Powerful) appears as the chief editor Boyd Bloom. Meanwhile, viewer favorites Ignacio Serricchio, Jackie Zeman, and Terri Ivens are back to shake things up! 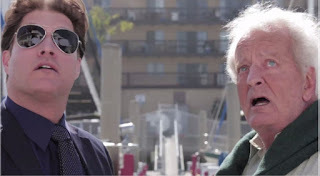 The Bay Chapter 12 begins where Chapter 11 left off after Steve Jensen’s (Matthew Ashford) prostitution ring was raided. Mayor Jack Madison (Nicolas Coster) visits Sara (Mary Beth Evans) to talk about Steve. He was able to get Steve out of jail due to the lack of evidence against him. He asks if there is anything else she would like to share with him. She responses that she “wish she could.” What does Steve hold over Sara? TV SOURCE MAGAZINE: ‘The Bay’ Returns With Its Hottest Chapter Yet! Chapter 12 of the Emmy-nominated The Bay starts today, Thursday, May 1st, with the first of four all new 17-20 minutes extended episodes. 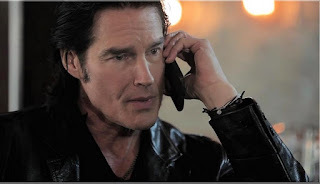 Tune in for soap icon Ronn Moss‘s debut as the begrudged John Blackwell as well as the returns of fan favorites Charles Shaughnessy and Martha Madison! They can barely admit that they are couple, at least based on the more common definition of what a couple is, but no one can deny that Peter Garrett (Kristos Andrews) and Janice Ramos (Lilly Melgar) have become one of the hottest pairings in recent memory on LANY Entertainment’s “The Bay,” the widely popular online series created by Gregori J. Martin.